The Car Wash Show 2016, May 9-11, at the Music City Center in Nashville will be here before you know it. Join the International Carwash Association (ICA) and your peers for a one-day bootcamp to teach you all you need to know about the new venue and exciting new changes to the show. Open to exhibiting companies only. Must register to attend ... registration is free! 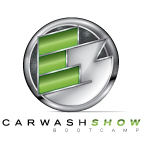 Visit http://carwash.org/e3-series/car-wash-show-boot-camp to view the full article online. With advances in vehicle technology come vehicle handling challenges. That's why we continue to compile resources on vehicle handling. Most recently we added the 2016 Honda Pilot documentation on putting the vehicle into car wash mode. Check out the latest vehicle handling resources at carwash.org. Have a resource we should share with other operators? Email us at info@carwash.org and we'll add it to our list. Visit http://carwash.org/for-operators/operate/vehicle-handling to view the full article online. Autobell Car Wash Inc., based in Charlotte, NC, recently awarded 143 employees in four states its 2015 academic scholarships toward the college or university of their choice, with this year's gifts totaling $166,000. Since its inception, the Autobell Scholarship Program has awarded over $925,000 in academic funds to employees. Visit http://carwash.org/news-landing/2015/09/22/autobell-car-wash-inc.-awards-2015-academic-scholarships to view the full article online. Sparkling Image Car Wash will help raise money to send Kern County students to an annual educational field trip. 50 percent of money from all full-service car washes will go towards helping students attend Camp Keep. Visit http://www.turnto23.com/news/local-news/sparkling-image-car-wash-helps-raise-money-to-send-students-to-camp-keep to view the full article online. Rio Car Wash will donate 100 percent of car wash sales at its two Fredericksburg-area locations on Saturday to Empowerhouse, a nonprofit organization providing confidential domestic violence assistance. Visit http://www.fredericksburg.com/business/local_business/rio-car-wash-to-donate-saturday-s-proceeds-to-empowerhouse/article_f5187277-7876-55e7-bba3-a9fdaeaaab8c.html to view the full article online. Tidal Wave car wash in Bonaire experienced some major cash flow Friday. And all of the money that came in went to help children at St. Jude Children's Research Hospital in Atlanta. Visit http://www.13wmaz.com/story/news/local/2015/09/18/st-jude-donations-flow-into-bonaire-car-wash/72426594/ to view the full article online. The logo of Shinetime Auto Wash and the colors are used throughout the car wash and give it the appearance of being a franchise or a part of a chain. This is privately owned Shinetime, for now, and the branding was the result of careful planning. Visit http://www.poconorecord.com/article/20150919/NEWS/150919395 to view the full article online. Clear Sunset Car Wash & Detail Center, which is the Manatee Small Business of the Year for companies with annual gross sales between $600,000 and $3 million, has seen substantial growth in customer volume recently. Visit http://www.bradenton.com/2015/09/19/5998175/manatee-chamber-small-business.html to view the full article online. Hiring decisions might make up a small business leader’s most crucial make-or-break moments. So how can these leaders make sure they’re hiring the right people? It all comes down to the people directly involved in the hiring process. Visit http://www.business.com/human-resources/hire-the-right-people-by-having-the-right-people-do-the-hiring/ to view the full article online. Hiring at small businesses increased in August, according to the National Federation of Independent Business. Its monthly employer survey finds that NFIB members added a net 0.13 workers per firm in recent months, which was better than July’s 0.05 reading. Visit http://www.wsj.com/articles/small-business-hiring-picks-up-1441279409 to view the full article online. In the latest developments, Facebook is exploring further ways of boosting its revenue beyond the advertising services it offers its users on the main site. The company will be offering free tools that encourage small businesses to become advertisers. Visit http://neurogadget.com/2015/09/19/facebook-wooing-small-business-owners-with-an-update-on-pages-feature/15780 to view the full article online. How can you increase the return-on-investment of your marketing tactics? How can you get the most marketing bang with the least amount of time? There’s no magic bullet, of course. But if you’re thoughtful, these seven marketing tactics can save you time and bring in customers. Visit http://www.usatoday.com/story/money/columnist/abrams/2015/09/18/strategies-7-small-business-marketing-tricks/72350974/ to view the full article online.